God wants to use you in the marketplace! Available in stores and online from 21 May 2010! Most people will spend between sixty and seventy percent of their lives at work. This is an incredible investment of time, energy and creativity and God has a very particular desire for that huge portion of your life. God cares about every part of your life, not just the parts that are spent in church and church related activities. In Transform Your Work Life Graham Power and Dion Forster share some testimony and teaching on what God has done with them, and what God wants to do with and through Christians in the marketplace. Your work life is one of the most accessible and significant mission fields in the world. 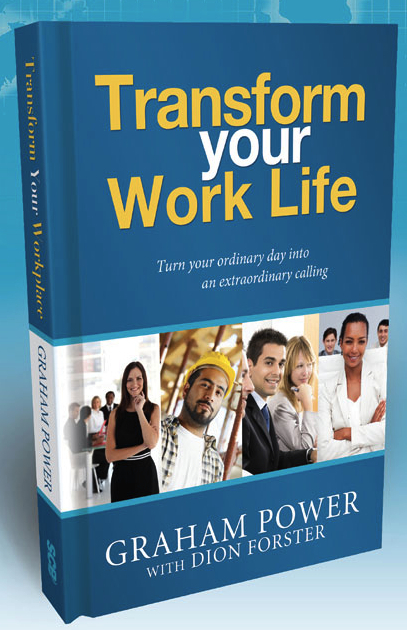 Graham Power and Dion Forster offer some truly practical, sometimes challenging, hopefully inspiring insights into the tools and processes that you can use to transform your ordinary day into an extraordinary calling, and by doing so transform your work life. 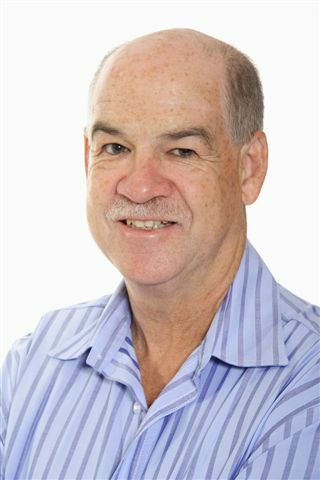 Graham Power is the founder and Board Chairman of the Power Group. In 2001 Graham Power was the visionary leader, for a gathering in Cape Town that saw 45 000 Christians fill Newlands Stadium to pray for the needs of this nation. Today this movement has become a global move. Dr Dion Forster is a consultant and chaplain to the Power Group of Companies as well as the Global Day of Prayer and Unashamedly Ethical movements. Dion preaches regularly in churches across South Africa, Africa, and the rest of the world. He also has a bi-weekly radio program called ‘The Ministry and Me’ on Radio Pulpit. Take a look at the endorsements to see what persons such as Dr Bruce Wilkinson, Rev Ed Silvoso, Rev Trevor Hudson and Brett Johnson think about this book. Please join the facebook page to discuss topics around ministry in the work place, stay up to date with developments related to the book, and interact with the authors. Please note that the book will be on sale from the 21st of May 2010.